The term alimony is used to describe a court-ordered provision for an individual to pay a spouse after a separation or divorce takes place. In the state of New Hampshire, alimony laws recently changed. Anyone subject to a new separation or divorce filing should familiarize themselves with the new law in order to be knowledgeable of the changes. The goal of the new law is to provide a new system that is more predictable. The reason for the change is Senate Bill 71. The measure passed via a bipartisan vote and among its changes, a statue is included that creates a formula that is used to determine how much the payer will have to contribute to the spouse. Without the formula, payments would vary based on jurisdiction. Basically, the old way of determining alimony was based on the judge’s decision and not a given formula. For any case, a different judge could provide a different outcome. Now, the new system will create a formula that is used by every court across the state for a more streamlined approach. The new system includes a formula that will set the alimony amount based on 30% of the difference between the ex-spouse’s incomes. While this formula will be used, there are also other factors to consider. The payments made can last until the payer is at retirement age or for up to half the length of the marriage. The judge in each case has discretion as to how long the alimony payment will last among other terms. Also included in the changes regarding alimony, concern taxes. Payments are no longer considered a tax deduction. Alimony received is also no longer considered taxable income. With the new formula, it gives both the individual required to pay alimony and the one to receive the payments a better idea as to what to expect. There still must be a finding that one party has a need and that the other party has the ability to pay. Once a finding has been made, then the Court can apply the formula. Take for example, a former husband making $100,000 a year, ex-wife has an income of $50,000, then the difference is $50,000. The amount of alimony to be paid could be 30% of the $50,000, which would equal $15,000 a year. This is a straight forward breakdown of the formula and does not take into consideration all of the other factors set forth in the statute. 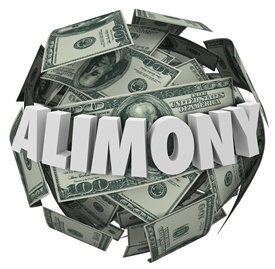 There are many other factors that the Court must consider when making an alimony determination, including but not limited to, whether or not child support is being paid, what other benefits are being paid for the receiving spouse, length of marriage, and a variety of other factors which can directly impact the new formula. When it comes to paying or receiving alimony, it is important to have an experienced attorney by your side. With the new alimony law changes in NH, it is always a good idea to speak with a qualified family lawyer in New Hampshire that is up to date on the new law and how it will apply to your specific situation.